The Core should be punished by letting you down for such a long time...but we are overwhelmed to see,that despite the lack of news, you guys keep checking out the blog. You may know by now that myself, Beny, have a very weird relationship with fashion. It's kind of a love/hate relationship. Anyway, today i am here to update you with what's new in the Fashion industry and what make people talk. Nicolas Ghesquière turned the french house,Balenciaga, into a huge, and respected luxury brand. 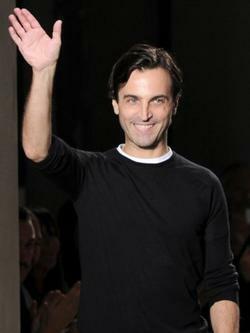 After 15 years working as the creative director, PPR, which owns the brand, announced the departure of Ghesquière on the 5th of November 2012. Surprising news as it is N.Ghesquière himself that transformed the brand, which was performing quite well during those 15 years. Ghesquière would apparently create his own brand in collaboration with LVMH which make people speculate. Why leaving PPR for LVMH? However regarding the name of his successor at Balenciaga, it remains a mystery. You want to wear big names but your bank account can't keep up? Do not worry, H&M got your back and your credit card...as always. It's been years now that H&M wants to make Luxury affordable (*cough* kind of). And it works, everytime they launch a new collaboration with a famous brand, fashonistas over the world rush to dry out the stores. From Stella McCartney to Jimmy Choo or Lanvin, it's been a success. This year Maison Martin Margiela (MMM) give the chance to all the ''small budget fashion addict'' to wear its atypical collection. Be prepared ladies, in store on 15th of November! Hard to recognise him behind the glasses, but take a closer look. The Chanel's new face is a complete look a like to Yves Saint Laurent. The french beauty is going to give his face and his acting skills for a film dedicated to YSL. Gaspard Ulliel will be working with the director Bertrand Bonello. 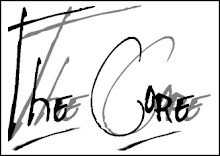 Stay tuned: The Core may have a Christmas Gift for you from a famous designer. Omg Completly Can't Believe it's him. Find the latest Fashion News and news from the Yellow Hangers. Your source for fashion news, fashion tips and latest fashion trends.